The week before last I had a very lovely surprise waiting for me in my postbox; a postcard from Budapest, written twenty years ago that my lovely friend Johanna found for me in an antique store. She sent it to me not so much for the card (which itself is cool), but for the very awesome Deutsche Bundespost stamps. The stamp that especially caught Joh's eye was the one depicting Nefertiti's bust. The bust portraying the Egyptian Queen dates to around 1340BC. It was uncovered in 1912 by a German archaeological team and now resides in Berlin. 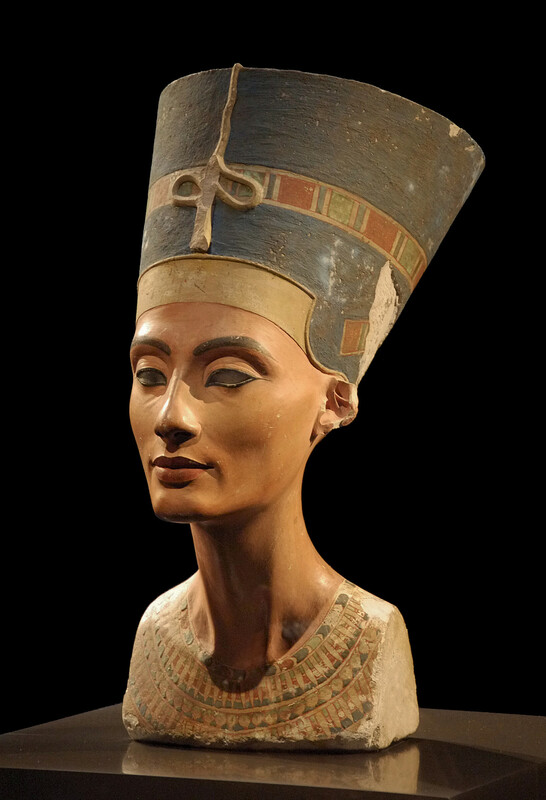 I love the Nefertiti bust - it exemplifies all the glamour and mystery and artistry of the Ancient Egyptian civilisation. I would love to see it for real one day. Berlin is definitely on my wanderlust list. I also really liked the stamp beneath Nefertiti on the postcard, but I didn't know what it depicted and so had to turn to google. It turns out that the Braunschweiger Löwe is the Brunswick Lion, which dates to around 1166, from the reign of Henry the Lion. There you go. Thanks Wikipedia. I don't know what the technical term is, but I really love the simple block prints of these designs, using only two (or three on the 100 stamp) colours. They are just such bold, striking designs. I have decided I am officially a big fan of Deutsche Bundespost. Another reason to go to Germany, I suppose!! Thanks so much for the postcard Johanna! This has been my entry into Viridian's Sunday stamps, which this week was a free theme. Intersting stamps, and yes quite striking. thank you for participating. They really are beautiful stamps and I love the simplicity of the design. I wonder if there are the same debates in Germany about the return of Egyptian artefacts as there are about the Rosetta Stone and the Elgin marbles here in the UK. wow! you are so lucky to get hold of those piece of history! I agree, sometimes the simplicity of the image is more definitive than one that is photographed. I remember seeing the King Tut exhibit in Germany about 30 years ago. Oh, I remember the old German stamps. I like the simplicity of the designs too. They really capture the look of the sculptures. I love your blog and I hope you never run out of stamps to tell me about. 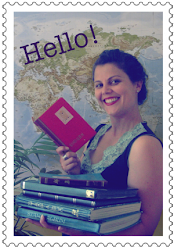 Archaeology / Gold Rush / Stamps / Yay!